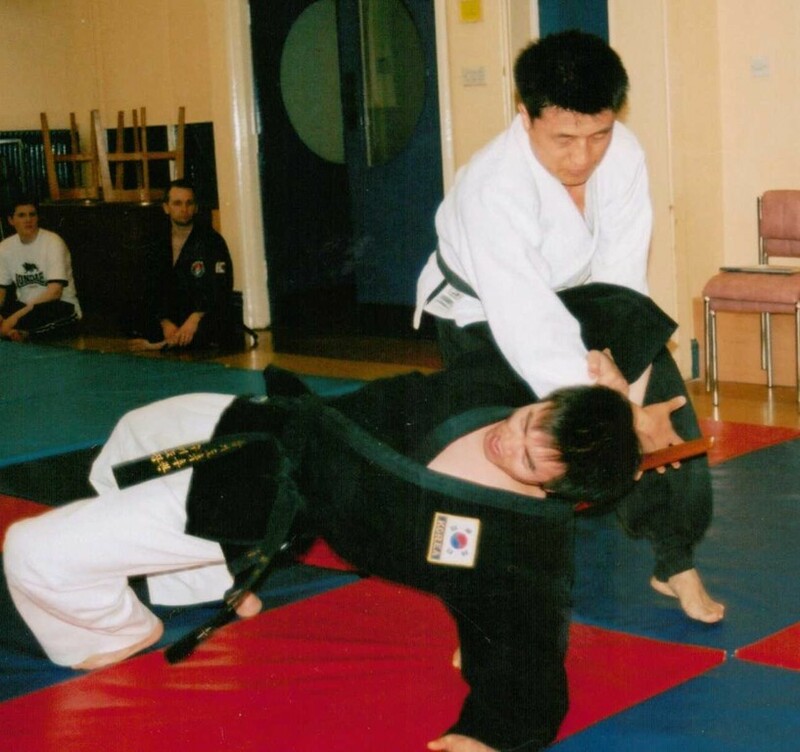 We can therefore summarise Hapkido as being "The Korean Martial Art of Co-ordinated Power". Hand Striking: Hand strikes include palm, fist, wrist and finger techniques; pressure point strikes; strikes using the arm or shoulder; blocking and deflecting. 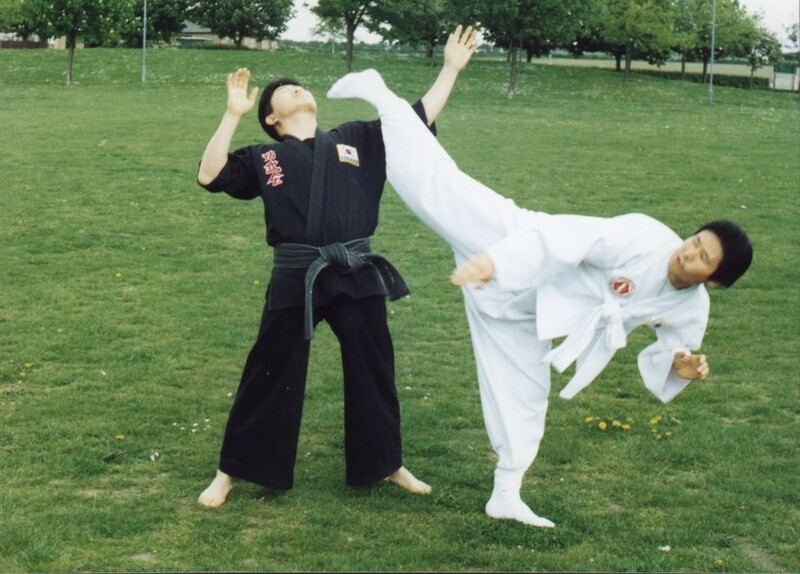 Leg Techniques: Basic kicks; spinning kicks; jumping kicks; combination kicking; double leg kicks; kicks to pressure points; other speciality kicks. Throwing: Body throws; Leg throws; Pressure point attacks and grappling; Defence against throws; Ground fighting. Joint Locking: Restraining techniques; Joint breaking; Combination joint locking; Opponent control and arresting techniques suitable for Law Enforcement. Falling Techniques and Gymnastics: Body conditioning; Breakfalls; Gymnastic style techniques for offense and defence. Body Conditioning: Flexibility training; Cardiovascular workouts; Body strengthening. Traditional Korean Weapons: Korean Sword; Staff - short, middle and long; Sang Jul Bong or rice flails; Cane; Rope; Fan. Healing Techniques: Acupressure; Internal energy; Herbal medicine. Meditation and Breathing Techniques: Lower abdominal breathing; Meditation and breathing postures. 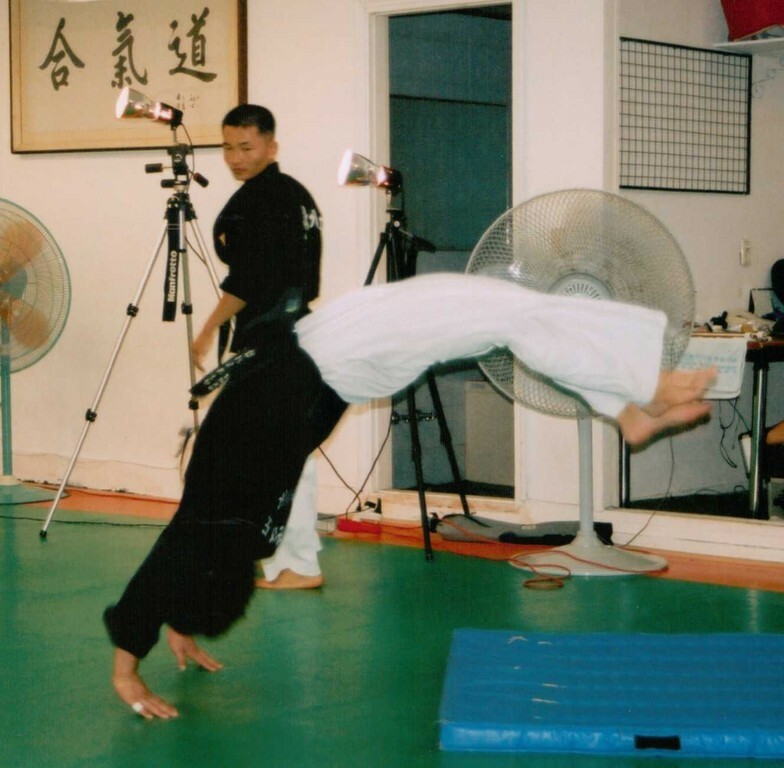 As you can see, Hapkido covers a wide variety of skills and mental and physical well being are of primary importance. 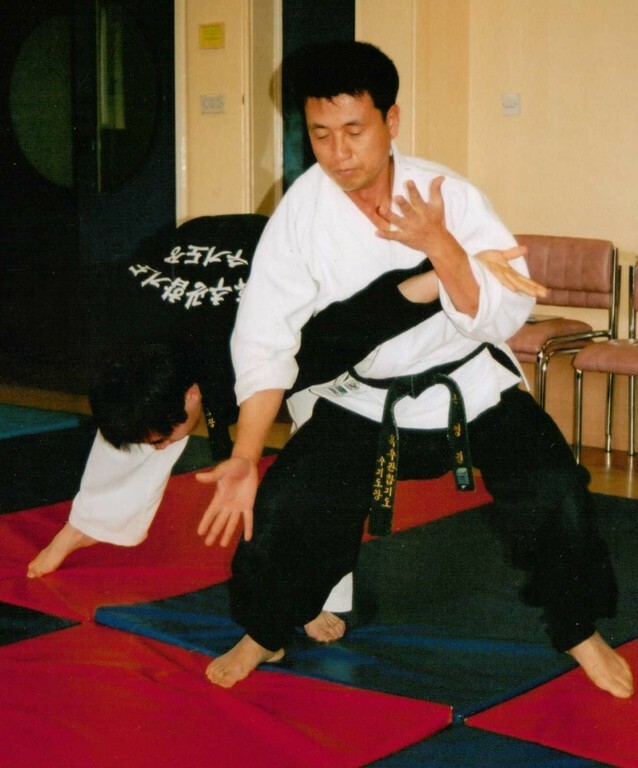 Although Hapkido is a modern martial art, its roots stretch deep into the very beginnings of the history of Korea. 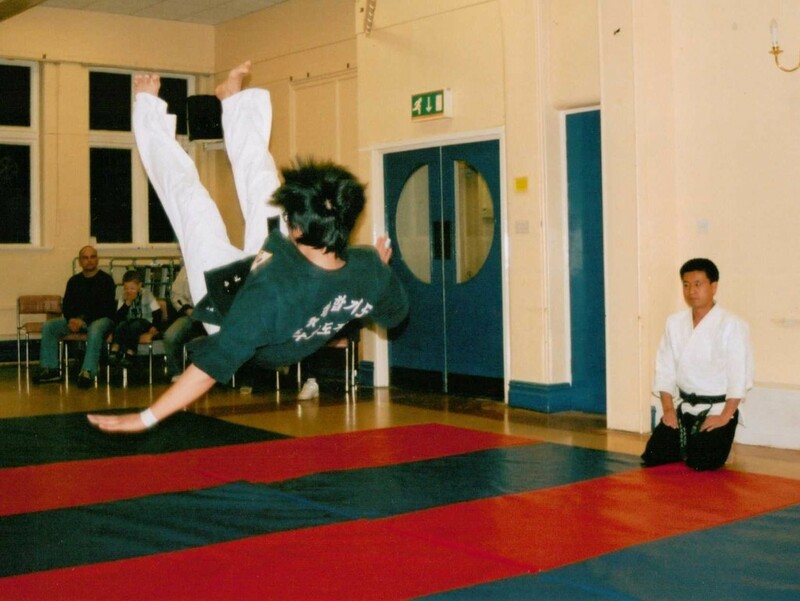 As such, the study of the history and ancient traditions of Korean martial arts is as important to Hapkido as the physical techniques.